In the book, Taubes visits the urgent question of what's making us fat - and how we can change. 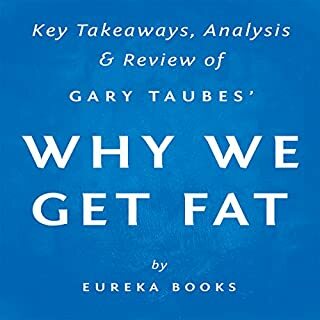 Persuasive, straightforward, and practical, Why We Get Fat makes Taubes's crucial argument newly accessible to a wider audience. 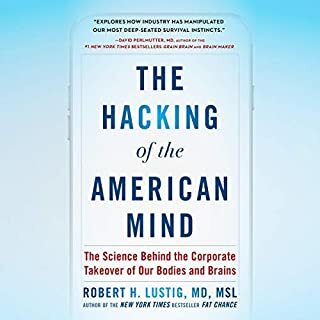 He reveals the bad nutritional science of the last century, none more damaging or misguided than the "calories-in, calories-out" model of why we get fat, and the good science that has been ignored, especially regarding insulin's regulation of our fat tissue. 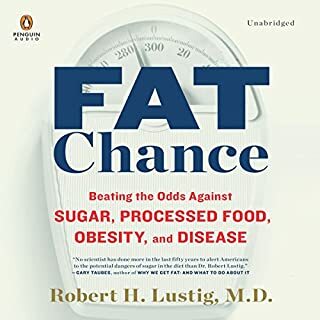 WARNING: This is not the actual audiobook Fat Chance by Robert Lustig. 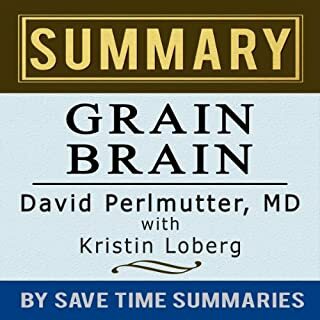 Do not buy this summary if you are looking for a full copy of the audiobook. Instead, we have already listened to the entire audiobook for you. 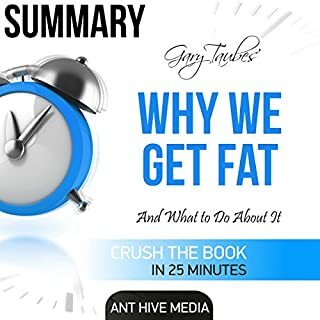 We pulled out all the key insights, events and take-away points relating to sugar, junk food, obesity, diabetes and so much more to give you a comprehensive chapter-by-chapter summary and analysis designed to save you a few hours. In doing so, unfortunately we cannot give you hours and hours of listening covering all of the background scenery or anecdotes. For that, we encourage you to purchase a copy of the full audiobook. Presented in an engaging and easily digestible format, this concise summary works great. Or, if you're not ready to listen to the full audiobook yet but still want some analysis and insight, then this is a great way to save a little money and a lot of time. No matter where you go or what you do, it's nearly impossible to miss the signs that we are facing an obesity epidemic. At the same time, it's nearly impossible to avoid advertisements for fast food - which, amusingly, are frequently positioned immediately adjacent to public service announcements about obesity. Everybody is quick to assign blame elsewhere: The food industry points to television, video games and computers; television points back at the fast food and junk food industries. 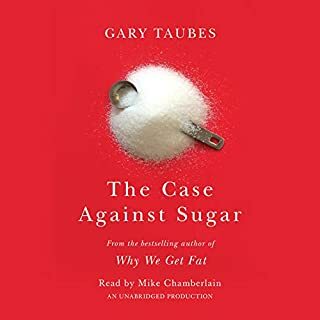 In Fat Chance, Robert Lustig presents a compelling argument that will no doubt awaken many from their sugar-induced stupor. His suggestions and solutions may not win him any friends in the fast food industry as listeners may steer their cars away from drive-thru windows and head towards the supermarket health aisle, but the forcefulness of his ideas should serve as a wake-up call to both listeners and those specific industries to begin to change their ways and do their part in rectifying our obesity-fueled, ticking time-bomb. Terrible. This "summary" skips over the most important parts of the book! Don't waste your money. Most irritating formatted book in my Library! There are 18 chapters in this short 33 minute summary and each chapter is broken up by a irritating tune (both Pre & Post), therefore wasting time. A commercial for their products prior to the book also wastes time. The book summary is just OK. Would not buy a book form this company again, unless they reformat. I have got 340 titles in my library & this is the first review I have been compelled to write, such an irritating book to listen to. Would you try another book written by Save Time Summaries or narrated by Dan McGowan? I have never listened to these books before and will never again. Would you ever listen to anything by Save Time Summaries again? The audio is 33-11 mins long. The first 1 min 23 secs is them telling you about their other products. Between each chapter is an irritating unnecessary 20 secs of music which gets played 12 times! This wastes another 4 mins and 24 seconds that you have paid for and the last 1 min 5 secs is again about their other products. In total you only get 26 mins of information for £5.30. Robert Lustig is superb but all these people have done is read a couple of sentences from the book for each chapter (I have the book which is why I can say this). They provide 30 secs of their own conclusion. 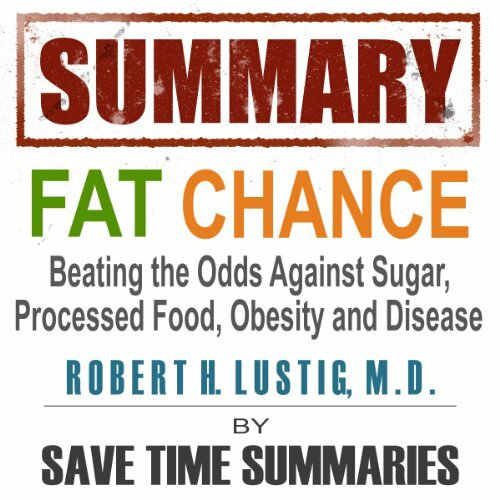 If you could play editor, what scene or scenes would you have cut from Summary of Fat Chance: Beating the Odds Against Sugar, Processed Food, Obesity & Disease by Robert Lustig?